Our goal for every photoshoot is to create timeless photos that reflect the individual and their interests. We do our best to create a laid back and relaxed environment and encourage each senior to relax and do their best to enjoy their time in front of the camera. We recommend 3-4 out fits in an effort to maximize your time slot and location variety. Ultimately, you may bring as many changes as you’d like, but the result would be fewer images and backdrops due to time spent changing. Our senior sessions are up to one hour long. If you feel that you want to have more than 4 outfits or have multiple shoot locations in mind that require some travel, then additional time may be purchased at $50 per 30 minute increments. Do you provide a hair and makeup stylist? We don’t have a hair and makeup stylist on staff, but we would be happy to work with one on your shoot if you choose to hire someone to further enhance your portrait experience! 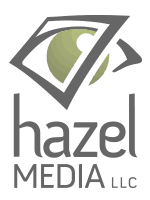 Contact Hazel Media today to book your senior photography session!